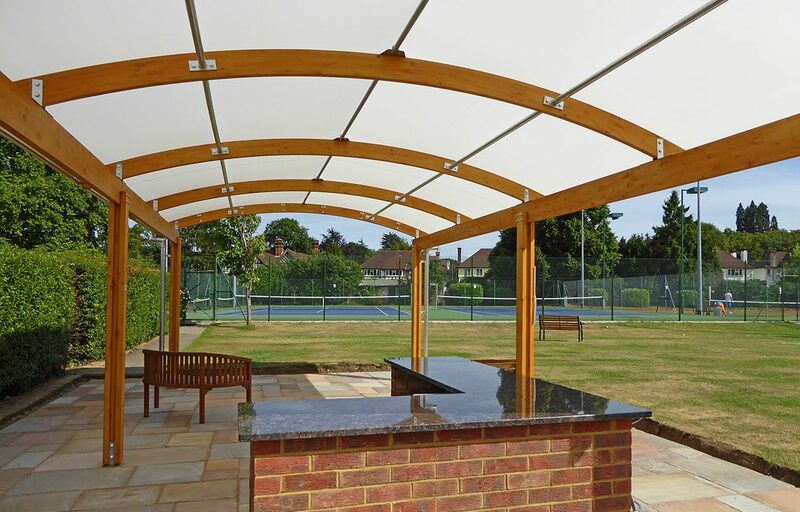 Timber canopy creates external sheltered social area for Epsom Lawn Tennis Club. 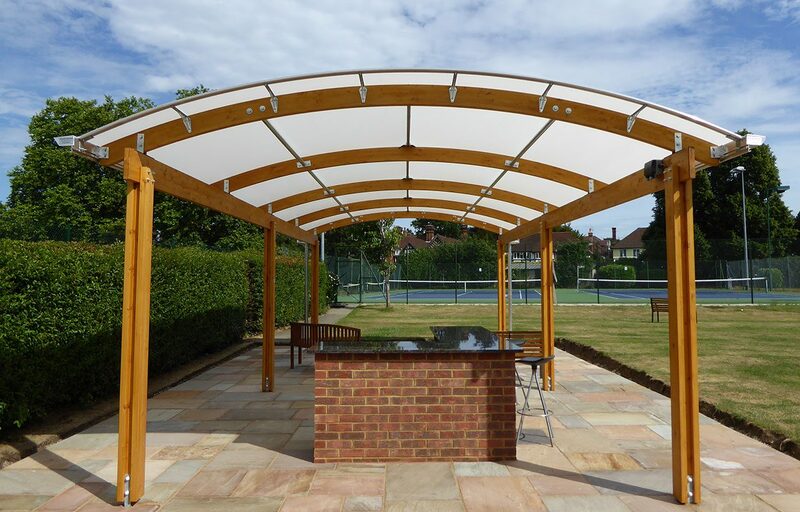 Fordingbridge designed and installed an aesthetically pleasing timber canopy for the tennis club members allowing either diners to eat alfresco, or, spectators to relax, knowing that they will be protected from the rain and harmful rays of the sun. 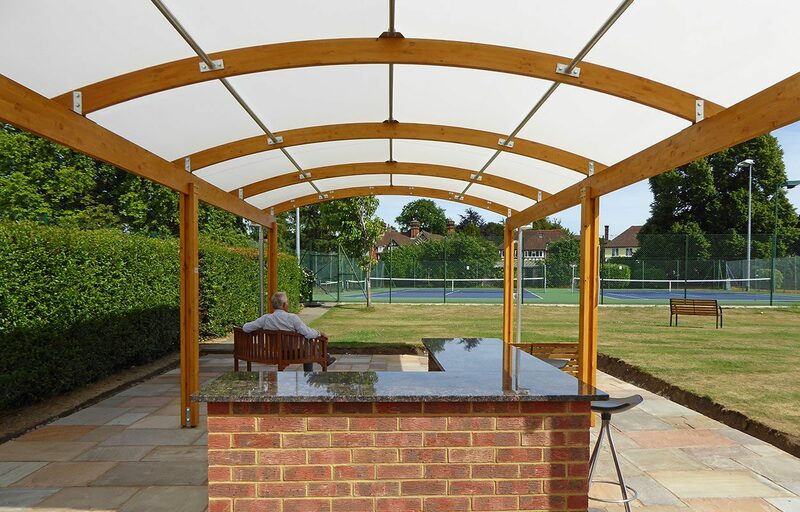 The light stained oak frame finish naturally complements the setting and the position of the canopy provides easy access from court and the club house, creating the perfect meeting point to discuss the match! 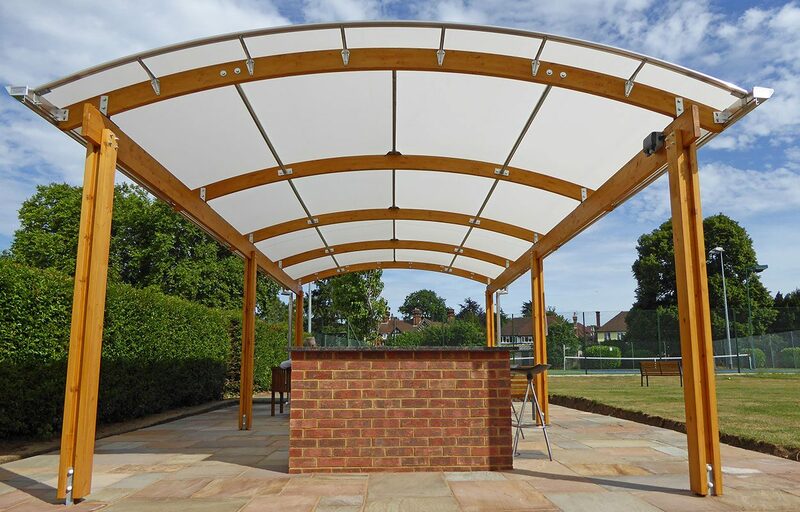 “When we were looking for a company to supply and install a free-standing canopy for our tennis club, one of our members, an architect, suggested that we contact Fordingbridge. What an inspired suggestion that turned out to be! 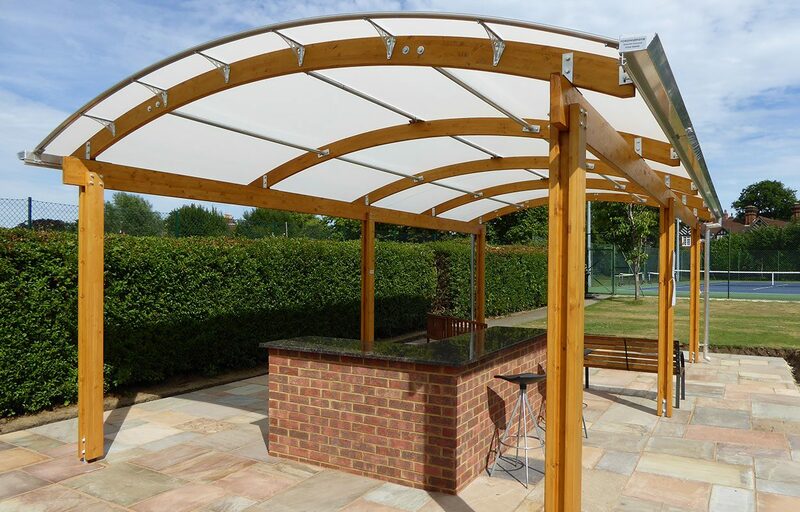 From our initial telephone enquiry, subsequent meeting on site to discuss needs and following quotation, we found the company to be straightforward, extremely professional and good value. Chairman of Epsom Lawn Tennis Club.